﻿The Club have many events running during the year. A look at the events list will show these are many and varied. Some of them are races and we have an Official Race Officer and reports and results are available on this page. On arriving at the Park the weather conditions were atrocious with heavy rain, wind and a slight swell on the lake. The event was in doubt but five club members turned up ready to go. We started early at 10 o'clock due to the adverse weather conditions. Chris Lilly did the time-keeping and Frank Kimbley acted as a race official along with me. Both races were completed by 10.30 and after a quick cuppa everyone went home. Club 500 Race June 2018 no report or any information regarding this. ​Race Officials Stan Reffin, Stuart Smith, Donald Shaw and Terry Scarth. It was a gloriously sunny day when 7 club 500's took part in the two races. The conditions were ideal with only a slight swell on the lake. 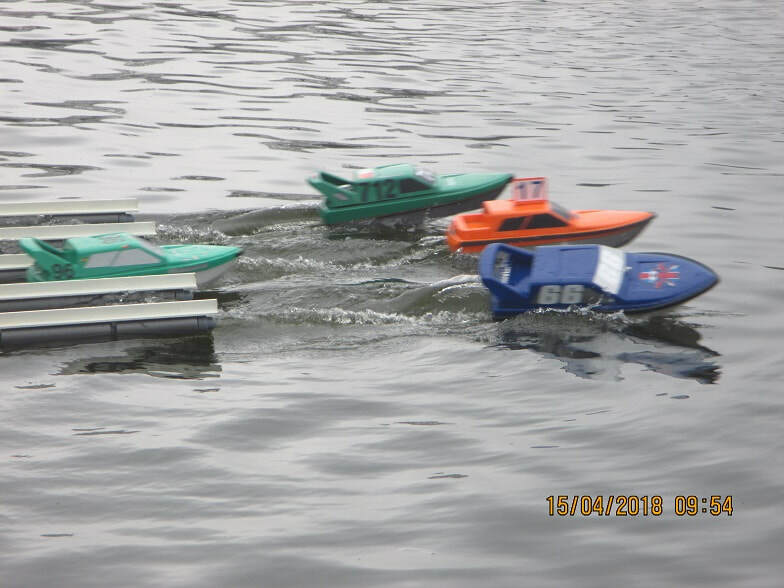 With 7 boats taking part it did lead to some scary moment with one competitor trying to jump over the start gate which proved very entertaining for members and the general public who were watching. 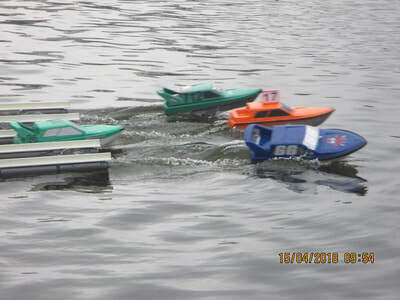 I have to say Richard Simpson's start gate is working well making sure all the models are close together for the start. 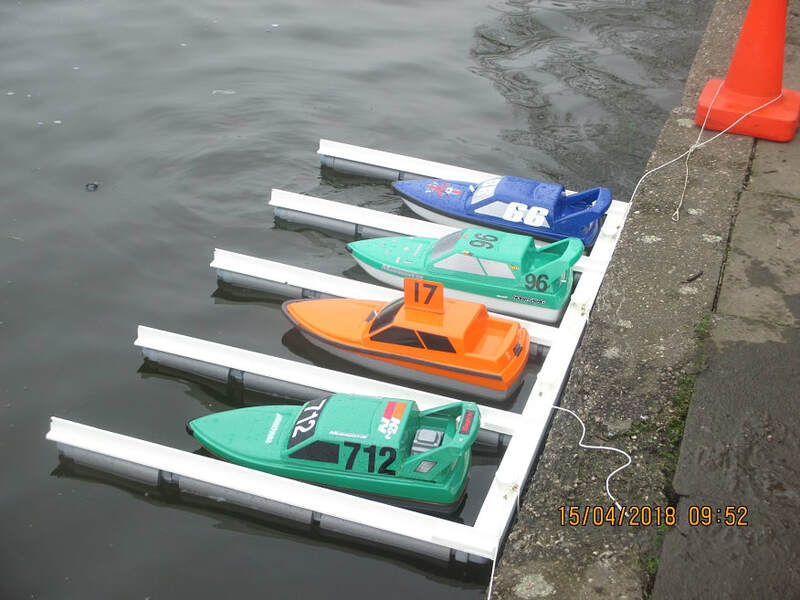 In the first race one boat ended up stuck on the island and the rescue boat was needed. A rather cold and dull morning with a little breeze on the lake. Ideal conditions for this event. For the first time we made use of the start gate made by Richard Simpson which worked well after a little hiccup to start with. Someone decided it would be nice to tow it around the lake! 8 members took part so they went in 2 groups of 4. There were one or two bumps and knocks but nothing too drastic. As you can see from the accumulated totals 5 members all have similar scores. ​Thanks to Officers of the day Roger Shepherd, Stuart Smith, Phill Bowker and Stan Reffin. 8 club members took part on this dry sunny morning. The aim of this event is to run the full hour and do as many laps as possible in the allotted time. Two members had to withdraw due to running out of battery power leaving the remaining 6 to complete the course. Fred Senior and Willie Crowther both did 25 laps in the hour so were joint winners each taking the trophy for six months. 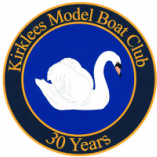 ​The models entered varied from scale models to club 500's. It would nice to see more competitors next year. Andrew Egglestone came 3rd with 14 laps. Race cancelled due to pond being iced over - race rescheduled to 23rd September. 9 competitors took part in the first Club 500 race of 2018. Thankfully we had some sunshine and a light wind. Big thanks to Frank Kimbley for breaking up the ice with his RAF crash tender before the race started. ​Stuart Smith once again operated the electronic starter to start the race and used his hitec timing device (electric egg timer). ​There were problems with bird feathers. Thanks to Terry Scarth, Roger Shepherd and Stan Reffin for overseeing the race. Mick Hebden has a very short lead over the rest of the field.